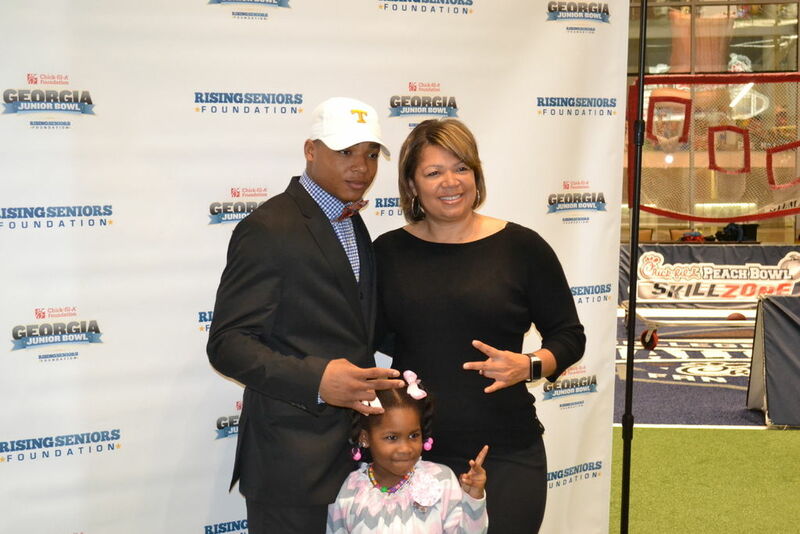 Shirts With Random Triangles: Tennessee Adds Four-Star Safety Prospect Nigel Warrior To Its 2016 Recruiting Class. Warrior is the son of former Tennessee and NFL cornerback Dale Carter. 247Sports grades Warrior as a composite four-star safety prospect. The recruiting site ranks warrior at no. 4 among 2016 safety prospects, at no. 7 among 2016 prospects from the state of Georgia, and at no. 58 in its composite rankings of all 2016 prospects nationwide. Warrior attends Peachtree Ridge High School in Suwanee, Ga. He stands 6'0, and weighs 186 pounds.